For the past few years our friend Mieke from the Undercover Guinea Pigs blog has designed a calendar, the proceeds of which are donated to support a guinea pig shelter. This year, readers voted for proceeds to benefit 't Kuufke Guinea Pig Shelter in the Netherlands. 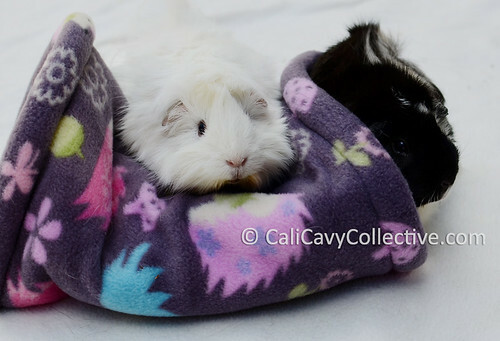 Revy and Abby-Roo were honored to take part as November Piggies of the Month. They decided to share the story of how they received their names and undercover aliases. Warning: pirates, cookies, and unfortunate but hilarious potential names ahead! Head on over to read what they had to say.